CDS is an organization that has been in providing services to the Lower Columbia Region since 1989. CDS started out by providing employment supports to individuals with significant barriers to employment and within the context of delivering these services it became very clear one of the biggest obstacles to maintaining employment was the fact that they struggled with housing issues. CDS began actively working on finding solutions to address issues of homelessness and relative homelessness “off the side of our desk”. With no resources dedicated to implement a consistent and cohesive plan to create and sustain supportive housing for those who are homeless or marginally housed in our community, CDS began forging the framework to what is today the Getting to Home: Addressing Homelessness in Greater Trail (GTH) program. 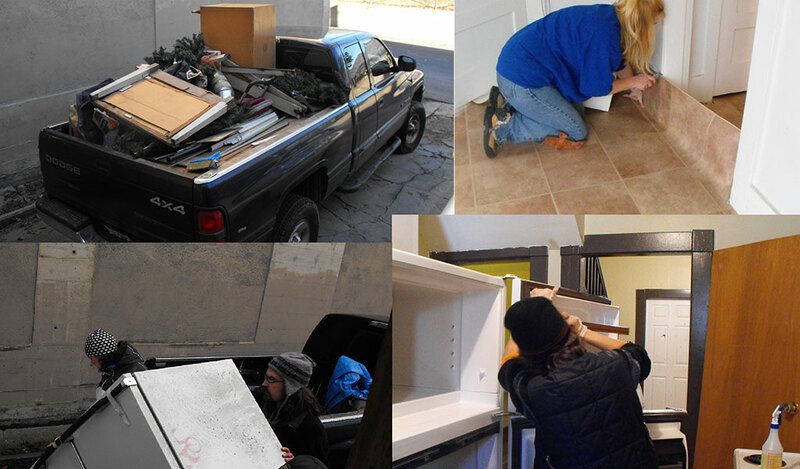 In 2007, in an effort to improve the housing situation for low-income Trail residents, CDS created a social enterprise business that provides rental maintenance services for absentee as well as local landlords in order to assist them to maintain their rental units and provide options for housing for the individuals we support. This social enterprise now contracts with several property owners in the community to maintain over 90 rental units. A CDS job coach works with individuals being paid minimum wage to complete work such as: painting, repairing walls, replacing plumbing, laying flooring, cleaning, replacing or repairing doors and locks and so on. This project has been a very successful both for improving the quality of lower cost rental housing in the community and for engaging individuals with marginal employability skills into the workforce. In January 2012 CDS partnered with the Greater Trail Community Skills Centre to launch the GTH program. The program was put in place to create viable and sustainable solutions to address homelessness, at risk and relative homelessness in the Greater Trail community. Working with a Homelessness Action Committee to ensure strategic plan initiatives are resulting in a more cohesive and integrated delivery of service to those individuals requiring support to maintain stable housing. The CDS staff appears inspired every day by the stories and resilience of the individuals they work with. The following are a few statements made by individuals about how they have been impacted by supports provided through the Getting to Home Program and CDS overall. The success stories as well as the not so successful stories inspire and motivate the staff at CDS to continue their fight to ensure that everyone has access to safe, affordable housing and ongoing support services to increase their ability to maintain their housing. Why did I get into this line of work and how is it rewarding? I knew I wanted to be a social worker from a young age. I had a social worker as a young girl and she saved my life so I wanted to give back the way she had helped me. It took me almost 35 years to get there, but after years of healing I finally made it and here I am today following my dream. I know that all the trauma and abuse I suffered needed to be turned into something positive so I work tirelessly to try and help the most vulnerable people in my community reach their full potential. I not only can relate to the client’s needs, but I know how hard it is to make the changes to have a better a life. This work has been humbling and rewarding, I feel like I have succeeded in helping some people. I love my job and wouldn’t change it, I know I have a lot to learn but everyday has its own rewards. Some days I wish I could do more, it is heartbreaking but I know that it can be a long process with lots of bumps along the way so I just continue to walk side by side with my clients. Every year the CDS staff get-together with other community supporters to spend the night under the Victoria Street Bridge on the Esplanade in Trail. This event is used as a fundraiser for the GTH program as well as creating an opportunity to spread awareness about the homelessness issues in our communities. The CDS staff and supporters gather pledges for every hour they plan on sleeping under the bridge. The event starts at 8:00pm and ends at 8:00am with typically around 20 or more people packing up in the morning feeling great about the difference they will make in the lives of others through their generous donation of time and funds raised. Throughout the evening there are prize giveaways, entertainment and keen discussions taking place regarding the issues surrounding homelessness. If you have any questions about this fundraiser contact Sheila Adcock at CDS at 1565 Bay Ave, Trail BC V1R 4B2 or call 250-364-1104. 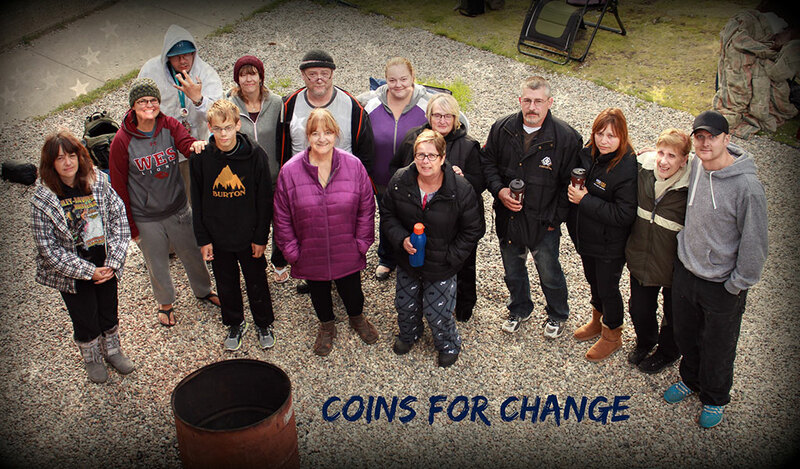 To donate to the Coins for Change Fundraiser Click Here! 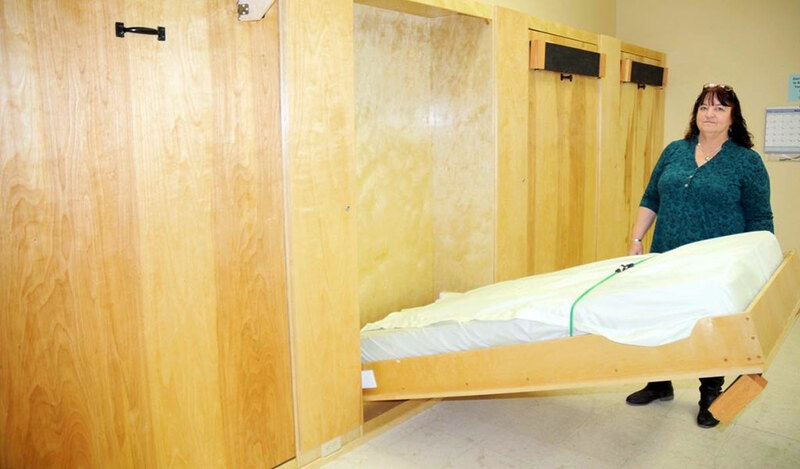 In 2013 CDS took over managing the La Nina Extreme Weather Shelter providing space for individuals that are homeless a hot meal and bed for the night from 9:00 pm to 8:00 am from November to March every year. Today, CDS still manages and operates the shelter from the Community Inclusion Centre (CIC) located on Bay Avenue in Trail. This season, 2017, CDS has been asked to open the shelter 24 hours a day – 7 days a week as this is an adjustment to past years CDS has had to increase the manpower and shelter planning to accommodate this opportunity. The full time winter shelter services offered are in the early stages but already the CDS Program Coordinator and Shelter Staff have seen an increase in well-being throughout the community and those needing to utilize the shelter services.